There’s a special kinship that exists among St. Norbert alumni, even if they’re from different generations, professions or regions. Those eager to connect with each other are finding it simpler than ever with alumni office support to make memories at events they create themselves. Bond used a similar formula to plan a Knight Theatre reunion, working with advisor Michael Rosewall (Academic Affairs) and other alumni. After a dinner in Michels Ballroom, they met with the cast backstage then watched the Knight Theatre production of “Young Frankenstein.” “Seeing these kids’ eyes when we all walked in before the performance was a really neat experience,” says Bond. 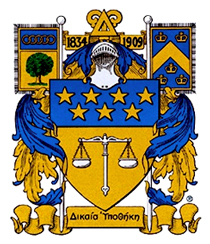 Another such event brings together fraternity brothers from Sigma Nu Chi/Sigma Tau Gamma on June 25, when they’ll celebrate the 90th birthday of the fraternity’s former advisor, the Rev. Rowland DePeaux, O.Praem., ’48. They expect a big turnout after the revered priest’s 85th birthday party drew about 150 fraternity members and other alumni to campus. “He has guided us through our years at SNC, married dozens of us and baptized dozens of our children,” says Bill Van Ess ’85 (Business Administration), who is working with the alumni office to plan the June celebration. “He has been a blessing to everyone that has had the opportunity to know him.” This time around, DePeaux is involved in planning the event, which will include a pianist. “It would not be a true Father DePeaux party if he didn’t break out in a song or three!” says Van Ess. St. Norbert alumni who studied abroad in Peru in the 1970s reunited last June; John Koprowski ’61 coordinates regular on-campus breakfast gatherings with SNC professors and priests as guest speakers. The list of reunions and other alumni-driven events continues to grow. 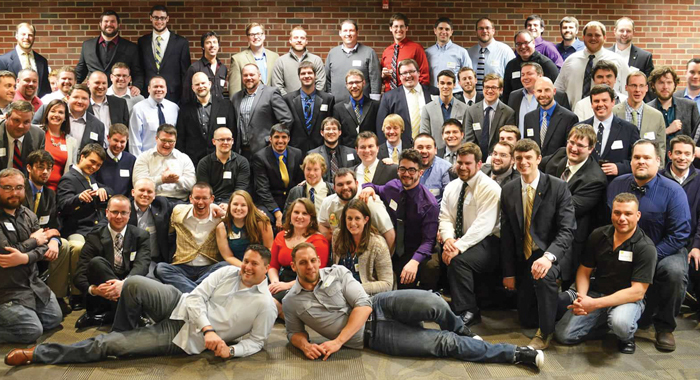 After the official events of last year’s successful Delta Upsilon anniversary party were finished, some of the guests weren’t quite ready to say goodbye, says Nate Bond, who majored in psychology and philosophy. Many of the frat brothers had gathered for pizza the previous night, then commenced a busy day of campus tours and the formal dinner dance. Still, late in the evening they had energy left to relive a tradition from their college years. “We had a great time … and we eventually made it out to Baba Louie’s,” says Bond. The dance floor of the De Pere nightclub, affectionately known as “Baba’s,” has been a hot spot for students for decades. “The night’s not complete until you’ve been to Baba’s!” says Bond.